Being sensitive isn’t what it is cracked up to be, I can assure you. In fact, most of the time, being sensitive is more of a curse than a blessing. You see, I was always a sensitive person even from a young age. I expressed emotion a lot, whether it was tears of sadness, or joy. Little did I know that I was also attracting other peoples energys towards me, calling it my own…. That will be a lesson that I would finally discover later in my life. I revised for my exams, and my sensitivity began to turn against me! It first began with sleep. That began to suffer. I soon found myself having later and later nights. Once upon a time, I would be in bed by 10’ish. Now, in college, I as going to bed as late as 12! (and when doing your A-levels, that is never a good idea). On top of that, I would also wake up at around 7 in the morning, feeling groggy, and trudging down to the canteen to have my breakfast. Boy, was I so wazzed out in the mornings. Talk about an uphill battle! No longer was it about joy, but now discipline. I had to focus and be attentive. I had to be able to meet deadlines. I was helping customer queries on the phone in a busy environment, which is hard even for a very logical person to deal with. The next would be concentration, and then memory. I soon found myself forgetting even the smallest things….this made my sleep even worse, and I began finding myself withdrawing more and more. I became irrationally bitter and angry, for almost no reason. And of course, I was in an work environment, so I couldn’t lash out at anyone. Fast forward 10 years, and I am well and truly involved in the spiritual journey. I meditate on a regular basis, and I try to develop love wherever possible. I was learning about the merchanics of the soul, and I was having a few out-of-body experiences. But I still felt peoples energy’s. This meant that I would pick up on peoples energys more quickly than other people. On the plus side, it can be a great thing, because once you have leant to use your tool, life can become more simpler and you are able to feel emotion more easily and effortlessly. Plus you can manifest change that little bit quicker. It could also be argued that you could remote view and remote influence more effectively as well. (but that topic will be for another day;-). Or to put it another way, you become more proficient with your psychic abilities. The bad news is, that if you don’t understand the subconscious, you will be buffeted around by other peoples energetics. And that’s not good if you don’t know yourself! You will feel like you are in hell, so please pay attention to this article, as you could benefit tremendously from it. Because until I discovered my subconscious, I was going through that hell. I was constantly emotional, which meant that I couldn’t focus easily either at work or at home. This led to developing addictions. This was until I discovered the Golden Light Protection method. You can have the best car in the world, but if you even attempt to steer the car using the original knob (what the wheel sits on top of), you will find it hard going turning that metal cylinder. It will rub and hurt your hand. It may even cause bleeding, especially at top speed! Add a nice leather steering wheel, and you’ve got options. Not only are your hands protected, but you have a greater degree of accuracy wherever you wish to drive (and leather always feels nice to touch;-). That is how good the Golden Light is. It’s a simple exercise, and can work with anyone, but especially those who can feel emotions very easily. The Golden Light protection is a method I got from Gerald O’Donnell, so all credit goes to him. And I now use it as frequently as I can to help stop the negative thoughts of others (and sometimes myself) influencing my inner love and peace. Developing your Golden Light has the following benefits to you. -It allows you to keep your calm when there is a lot of negativity around. -It keeps you slightly centred/grounded, so you can think more clearly. 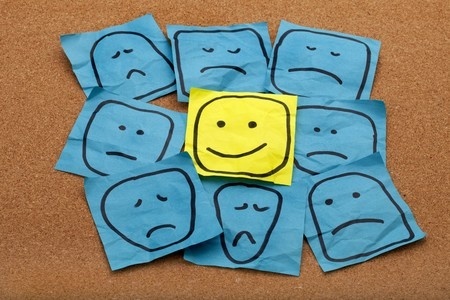 -It stops you from being angry, allowing you to focus on your goals and becoming more productive. -This in turn helps you with your job, your family and even your friends, which means that you can have more fun and happy times with them. Creating and maintaining the Golden Light is is not as difficult as it sounds, and is pretty simple to maintain. 1. To start, just take a few moments to become mindful and attentive to this moment. Take a few deep breaths and feel yourself becoming mindful, the purpose being to clear your mind and be grounded. 2. Well you feel mentally clear and very relaxed, close your eyes and imagine golden light about the size of an egg that can cover your body swirling around you in a clockwise direction. 3. Imagine this turning into a shield covering you from head to toe, and being dazzled by it golden light, as it swirls around you quicker and faster than ever before. By now, you should be able to feel your Heart Chakra opening up and feel love encompass your body. 4. Try to keep this visualization up for a few minutes, until you feel very relaxed, peace and love, and then open your eyes. You are essentially good to go! Needless to say that when I did this, my emotions calmed down, and I began to feel almost empowered over my emotional state. No longer was I going to be controlled by the emotions of other people, I was going to protect myself against that. Combining this with mindfulness meditation, I found helped me also regulate my emotional control, which was benefited by the Golden Light. If you do find that you are using your shield a lot, then it may benefit you to practice meditating on a regular basis. Meditation can be easy for some, not so easy for others. 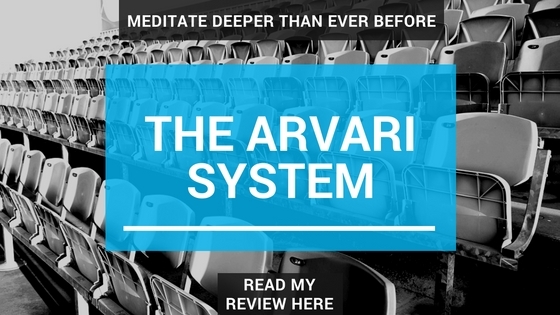 If you do find meditating difficult, I do recommend that you check out the ARVARI courses, which not only helps you meditate, but also helps you do other great stuff with your minds eye, such as increasing your intuition. To find out more details on the ARVARI course, please click here. Practice the Golden Light protection method as many times as you like, and let me know how you get on with it. P.S. Using Golden Light to ward of negative energys to your aura is a great way to keeping yourself calm and re-focuses your energies without being too ungrounded and emotionally lost. Creating a shield of Golden Light is not only easy to do, but has multiple health benefits, especially if you are emotionally sensitive. Once you can get into a routine into maintaining this Golden Light when you feel emotionally exhausted not only wards of negative energy, but you will also feel peace and love and become more focused, which means you can lead a more abundant and happier lifestyle. Combine this with meditation, and you have a great effective power-tool to use wherever you go. To find out about other ways for meditation and to check out the ARVARI courses, please click here. Previous PostPrevious Insomnia, Meditation, and an Intuition-booster! Next PostNext Mindfulness meditation: My top 5 techniques for 2017!